Point break are a fun, male fronted 4 piece band hailing from London! These awesome musicians pride themselves on bringing to life your ultimate party playlist, right in front of your eyes! All of your favourite pop, soul, funk and classic rock hits appearing in one electric performance! These experienced musicians deliver not only a fantastic live show, but are the whole package! Their considerate set-up, impeccable presentation and professional attitude show their understanding of what it takes to perform for various events, whether it be your wedding, a corporate event or a private party. Point Break's rocking show consists of lead male vocals, electric guitar, bass guitar and a hard-hitting rhythm section! Their talented members are highly experienced and have performed alongside well known artists including Ronan Keating, Jason Donovan, Westlife and Ocean Colour Scene! Furthermore, they have written music for the BBC, Ministry of Sound and Channel 5! 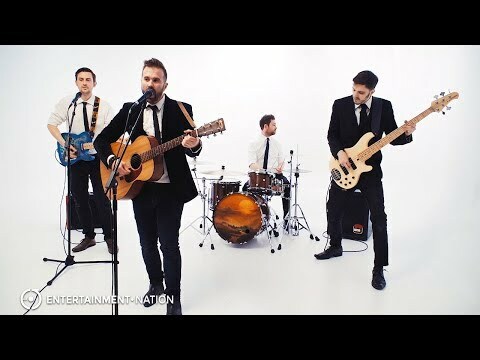 This cool party band for hire want you to have a successful and stress-free evening, therefore they will arrive at your venue fully self-contained with a PA and lighting rig. They also provide a fully manned DJ service for when they aren’t performing, filling your evening with floor-fillers the whole night through! If you would like the 'full-fat' version, why not add their extra guitarist, male or female vocalist and keyboard player for your event? If you're looking for a fantastic band who are great value for money and who guarantee to fill your dance floor - you need Point Break! 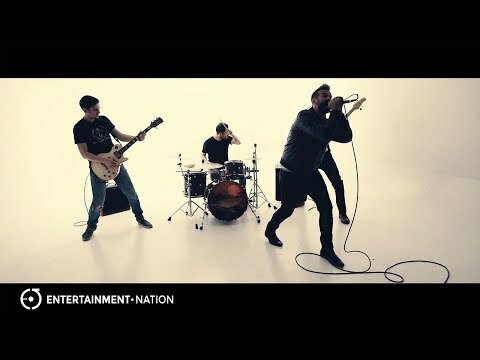 Find your dream band for hire with Entertainment Nation. Look through the rest of our stunning selection of wedding bands, party bands or event bands. "Point Break were absolutely brilliant, these guys have a fantastic repertoire to chose from, which really made the evening as we were pretty much able to have the set list we wanted. Everyone commented how great the Band were, they really brought the house down everyone danced all night. They were punctual, polite, great musicians and really accommodating, I wouldn't hesitate to recommend them to anyone who wants to guarantee their party is a smash. 5 stars from me." "My husband and I booked Point Break to perform at our Wedding. It took a lot of searching and deliberation to decide who we wanted for our special day. We where not left disappointed. From start to finish they where amazing! The level of energy they brought made all our guests get to their feet! Never an empty moment on the dance floor. Our first dance "chasing cars" is a moment I will never forget and a highlight to the day. We couldn't thank them enough. Many compliments for days afterwards. A 5 star performance for a 5 star day!!! Thank you for making our day so magical!!" "We had such a great party and that was thanks to the band being spot on: great tunes to get everyone on the dance floor and everyone said afterwards how amazing they were. Best wedding band we've ever seen. Thank you so much. They were a real pleasure to have there on the day too and were flexible and accommodating in getting there early to set up. Would unhesitatingly recommend them"
"My wife and I looked for band and we got Point Break. The Lads were Brilliant, so easy to work with. Polite & friendly.. Excellent choice of tracks. The dance floor was always full, everyone had such a great time, we can't say enough I definitely recommend them if you need a band for your special day,birthday or everything. A Huge thank you to Point Break." "Point Break were truly brilliant and were a big part in making our wedding day the best day of our lives. So many of the guests commented on how great the band were - among them professional musicians who are not easily pleased. The constantly packed dance floor spoke for itself. Fantastic performance - thank you." "The band judged the mood and tone of the room and guests very well. I was really pleased that the dance floor was full up by the second song and stayed that way all night. I had many comments from my guests about how good the band was and offered something a bit different to the usual wedding"
"The band was fantastic, everyone complemented them on their performance"
"We would like to pass on a massive thank you to the band, they were fantasic!. Our guests loved them and they really got the evening going. Thank you so much!" "Please pass a big big thanks to the band who played at our wedding at The Crown Inn, Pishill. They really turned our reception into a party and everyone remarked about how fantastic the band was! They really got everyone up and dancing which was exactly what we wanted. I would definitely recommend Point Break to anyone else planning a wedding. Many thanks again." "Band were absolutely fantastic, got everyone on the dance floor, huge numbers of positive comments from all our guests. They didn't even bat an eyelid when my cousin knocked over not only a speaker but the bass player as well - just laughed and carried on playing - a class act! My brother-in-law is already planning to book them for his wedding next year!" "Point Break were absolutely fantastic at our wedding and so many of our guests raved about them. Their song list and the brilliant atmosphere they created simply made the evening. Thanks very much. I would really recommend them to any friends, family or work colleagues!" "Excellent performance. Real talented bunch." "We just wanted to say thank you for putting on such a great performance at our wedding on the 28th March. We absolutely loved the music as did all our friends and family which you could probably tell as they took to the dance floor for every song from start to end and showed off some weird and wonderful dance moves! So many friends kept coming up to us to tell us what a great band we'd booked and some of our German friends even asked if you ever play in Germany and would you play at October Fest in Munich!" "I wanted to personally thank you and your band for 2 fantastic performances. I have received lots of emails this morning commenting on the high standard of you music. I think I had probably had a little too much Prosecco by the time you were ready to leave - apologies if I wasn't that 'with it'." "I've seen many, many bands as I've been a wedding and event co-ordinator for 17 years and you are by far the best I've ever seen." "Point Break were fantastic and so many people commented the next day at how brilliant they were. They arrived on time and set up without any issues, the first I knew they had arrived was when I could hear them warming up which also sounded fab. We would definitely give them 5 our of 5, our 1st dance was performed exactly as we wanted and each set played went down really well with our guests. We would highly recommend them to anyone looking for a band!" "Point Break were fantastic. Their arrival and set-up was smooth running I didn't even notice. Then the lead singer of the band came and checked in with me to double check start time and first dance song and wishing me congratulations. They looked great and sounded great and all my guests were really impressed! I love that they easily switched into every song with no "silence" period in between. It couldn't have been any better. Totally recommend them again!!!" "We give Point Break 5/5..... the correspondence leading up to Point Break playing at our wedding was spot on-quick replies and very organised. We were so impressed that they were happy to play our first song, and were very flexible when we changed timings a couple of times. Their performance went down a treat with everyone-a fab playlist, great enthusiasm, and awesome musicians. All in all we are thrilled we chose them to play for us." "Point Break were fantastic - 5*! We took a risk finding a band on the internet we'd not heard before but I'm glad we did and many of our wedding guests commented on how good they were. The variety of music they played was just right. I could have listened to them all night without having a DJ too. The guys all looked great and were really flexible with timings throughout the evening. I'd definitely recommend them." "We give Point Break 5/5....they played at our wedding on 19/08/17. The correspondence leading up to Point Break playing at our wedding was spot on-quick replies and very organised. We were so impressed that they were happy to play our first song, and were very flexible when we changed timings a couple of times. Their performance went down a treat with everyone-a fab playlist, great enthusiasm, and awesome musicians. Tom from entertainment nation was brilliant and coordinated the band superbly. All in all we are thrilled we chose them to play for us through Entertainment Nation"
"The band were absolutely amazing. They did an amazing job of our first dance song with an acoustic version and everybody was always up dancing. They couldn't have been more professional and friendly. They responded to my emails really quickly. I would definitely book them again"
"This was a very special day for us as we Renewed our Wedding Vows and Point Break provided the perfect end to an amazing day of celebration. We truly ended the day rocking & bopping and on a big high. You could tell these guys were very professional and accomplished performers and everyone commented on how good they were. Point Break are a male fronted 4 piece band. We had requested a Celine Dion song that was not in the band's normal repertoire but they were happy to do this for us provided we added their optional female vocalist. It was so worth the extra money. The rendition they did of our first song, Because You Loved Me, was amazing and the female vocalist (I wish I could remember her name) added to the bands song range and harmonies. We were happy to leave it to the band to choose the rest of the evenings playlist and they didn't disappoint in any way. 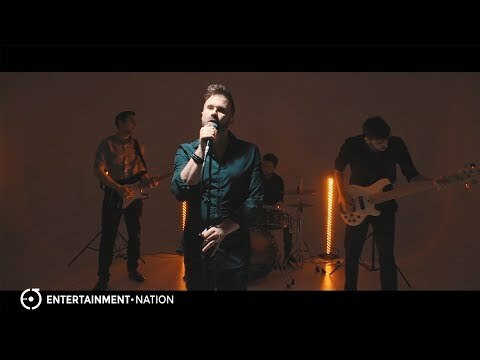 I wouldn't hesitate to recommend Point Break to anyone looking for a fun rock and pop band and would highly recommend adding their female vocalist. 5*"
"Point break were amazing . Engaging , great musicians and accommodating . My wife and I would both recommend them to anyone . Brilliant choices of music and performance . Defiantly use them again soon as I organise a yearly beer festival and forties weekend." "We wouldn't hesitate to recommend Point Break after they played at our Norfolk wedding in August, the boys were superb. They took the trouble to learn the song for our first dance and performed it beautifully. Every cover they did was amazing and there were loads of compliments after the event. We had an amazing day and the group played a large part in that. 5/5 and our thanks and best wishes to all of them. Carole & Steve"